Bape and Kaws have a long history of collaboration. Working together, they've created some of the most iconic pieces in Bape's history like the Chomper varsity jacket and their partnership really put Kaws on the streetwear map. 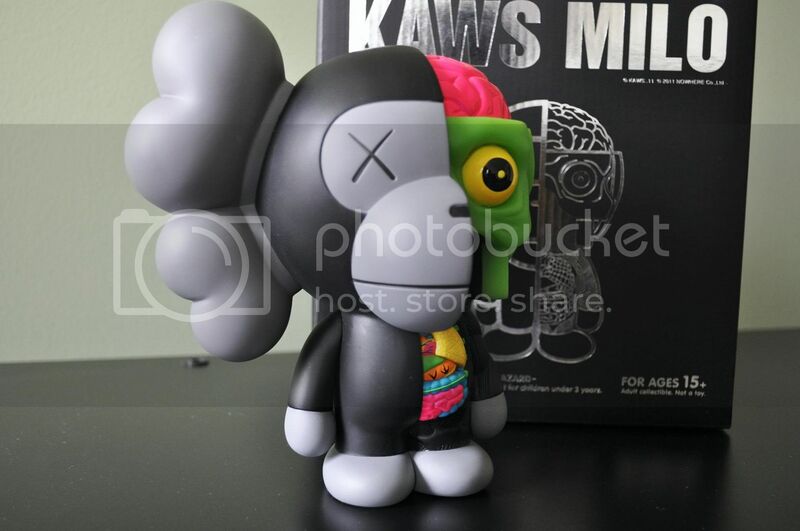 Over the past couple years Kaws has really been pushing his 'dissected' designs, which feature Bearbricks and Companions with half of their body sectioned to reveal bones and organs. 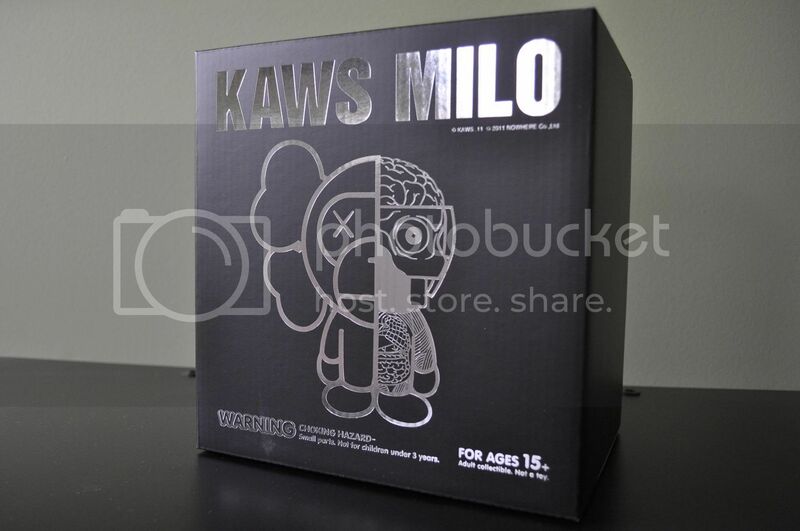 Having exhausted dissected versions of his own characters it was about time for another Bape collab- Dissected Milo. 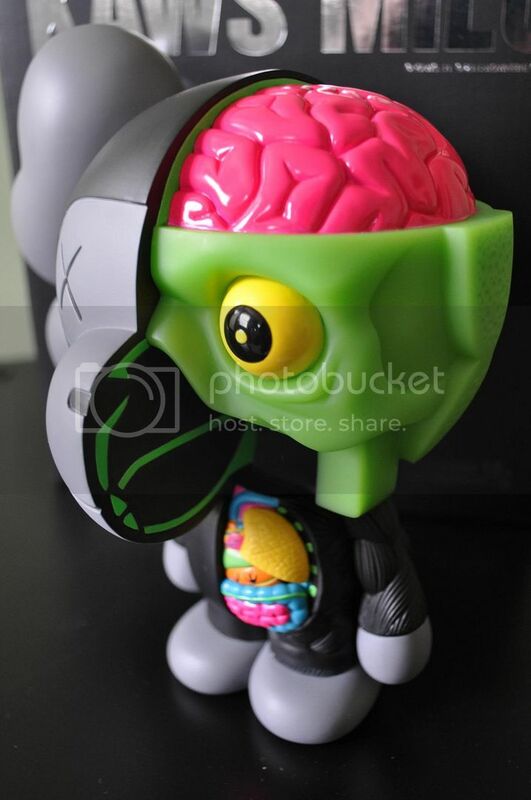 The vinyl toy, which stands about 9 inches tall was released in three different colors, classic brown Milo, white greyscale and black with neon. 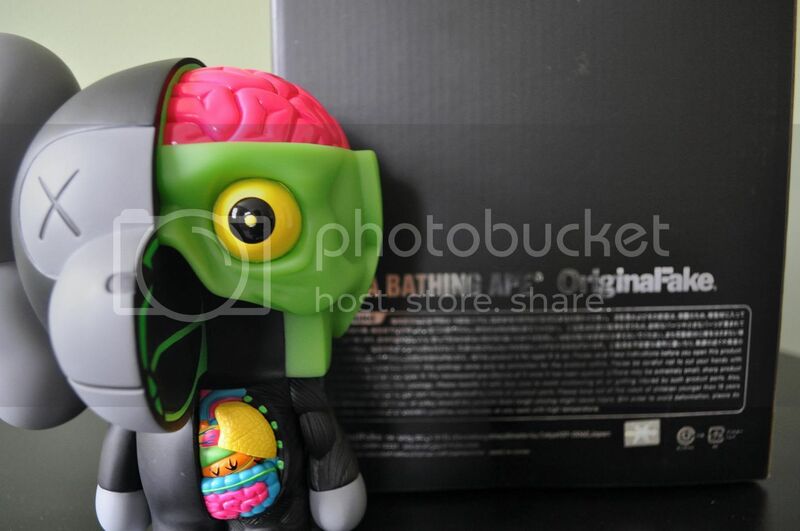 It was also released in conjunction with some t-shirts, hoodies and tote bags featuring Dissected Milo. See more detailed photos after the jump. We opted for the neon colors because they're the most surreal and interesting to look at. Also we love how the black contrasts with the really vibrant colors.